The clock's run out, time's up, over, bloah! One of my favorite songs over the last two years has been 'Lose Yourself" by Eminem. Caitlin put it on my phone a few days before the 2014 National Championship 30 km. I had a great race, finishing 2nd just a few seconds off of the win. The race essentially put me on the Olympic team. I then flew over to Europe a few hours after the completion of the race to race the period 2 World Cups. They were my first World Cup starts since 2010 and I knew that if I was going to the Olympics in Sochi and I needed the additional experience. I took the opportunity, however my first race was terrible and then I caught a cold. Still, looking back I don't regret taking the opportunity. Caitlin and Me at the Holmenkollen World Cup. Note: A special thanks to the National Nodic Foundation (NNF) and Bjorn Daehlie who helped fund and support the Holmenkollen World Cup weekend. Opportunities are out there. They may simply be an invitation to a training camp, a specific workout, a chance to meet a specific person, an entry in to a race, finding yourself in the break at a race or any countless variations. The key is to be in a position to capitalize on the opportunities that come your way. 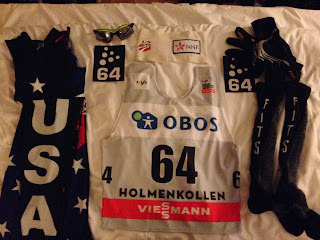 My focus over in Europe has been supporting Caitlin and racing the Engadin Ski Marathon. 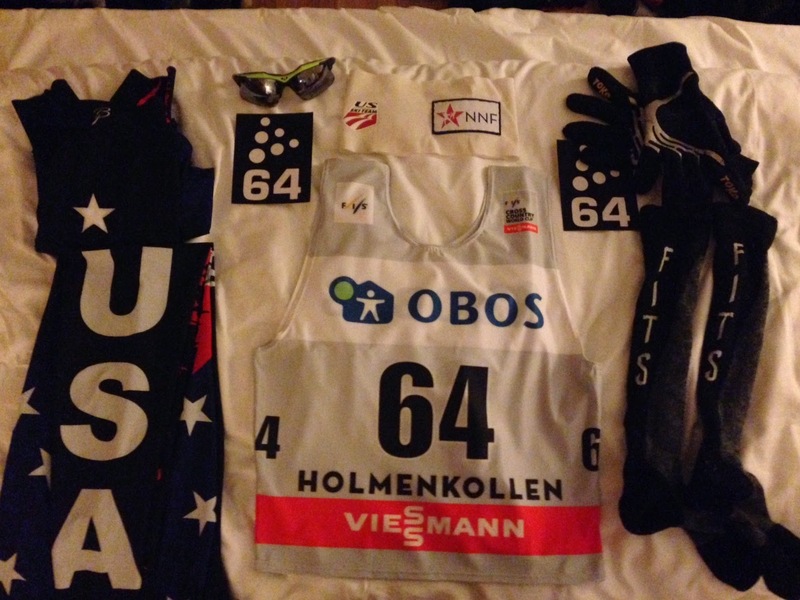 After a strong race at the Engadin I was given the opportunity to start the Holmenkollen 50 km freestyle World Cup. The course is hard with a lot of climbing and in my opinion is perfect for me. My focus the second half of the ski season has been on long distance skate races and the Holmenkollen fit right in with the focuses of my training. My goal going in to the race was to finish in the World Cup points which is the top 30. Unfortunately the USA men have struggled in distance this year and Simi Hamilton is the only one who has scored any World Cup points with a top 30 in a prologue during the Tour de Ski. The mass start is seeded based on FIS points and I started 64th of 65 men. At least the only direction to go was up. I felt strong throughout the race, pacing off of my teammate Noah Hoffman the first 16 km of the race. Although I did drop from the main pack I felt that I paced the race well. I am most happy about skiing the final 10 km well and catching a number of other racers. I didn't know what place I was in, but I just put in my head that if I passed the next skier or group of skiers up the trail that I would be top 30. I ended up finishing in 35th, one minute out of top 30. Although a minute seems like a lot of time, in a 50 km it is just over a second per kilometer. This was a strong result for me and improves on my 39th finish from the last time I raced Holmenkollen in 2010. Plus it is one of the stronger distance results of the US men this season. After my race, the focus went back to supporting Caitlin for her race. It is pretty fun to be a part of what she has accomplished these last few weeks. She raced much of the 30 km in the top 10, although faded a bit in the final 10 km to finish a still impressive 19th. Her scoring of World Cup points also gives the US Ski Team an additional distance World Cup start for next year. Caitlin and I are now in Sun Valley, Idaho for the final week of ski racing of the season. This week hasn't been the best for us with Caitlin suffering from a concussion that materialized after a feeding incident at the Holmnekollen. 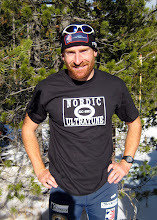 I have felt good but did not classic ski or sprint well. We are regrouping and focusing on our marquee events the 50 km and 30 km freestyle National Championships on Thursday. The last two years has all been about being prepared to capitalize on the opportunities. A huge thanks to everyone who has come together to help make year two of Team Gregg even better than the first. Caitlin and the New Mexico ladies. Fredrick and the University of New Mexico crew has played a key role in the success of Team Gregg. Always fun to be around them.